If you couldn’t tell we have a pretty big soft spot for Mother Earth. So to celebrate her upcoming birthday – we’re throwing an #EarthDayBirthday Twitter party! 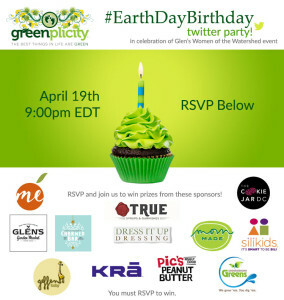 Join us on April 19th at 9:00pm EDT for green living tips, eco friendly conversation and some awesome prizes. Take a buzz through the prizes below then fill out the Rafflecopter form at the end. Momme Meals – Go Chews are just what you need to snack healthy. The bite-sized Go Chews satisfy cravings while providing the perfect nutrients to keep you going. The prize pack includes two bags of each flavor – Turkish Apricot, Tart Cherry Chocolate and Fig Ginger Sesame. Silikids – Silikids is the first mom-founded brand focused on creating products that are safe, modern and made entirely out of SILICONE, offering an alternative to plastic wares found in the kitchen. Silikids’ designs are safe, modern and practical SILICONE products offering superior function, while being easy to use and clean. All Silikids products are made from 100% food grade silicone. RSVP for a gift basket of Silikids products! Pic’s Really Good Peanut Butter – Founded in 2007 by Pic Picot, New Zealand-based Pic’s Really Good Peanut Butter is New Zealand’s #1 selling peanut butter and is peanut butter worth eating. Made from the finest quality Hi-Oleic peanuts from Australia that are fresh roasted and lovingly squashed in Nelson, Pic’s then quick seals its peanut butter to preserve freshness and flavor. The prize pack includes 2 jars of Pic’s Peanut Butter. Cookie Jar DC – How many times have you intended to make cookies, only to eat half the bowl of dough? And you know that dough has raw eggs in it, so you hear you mom’s voice in the back of your head saying “Don’t eat that, you’re going to get sick!” We’re making it easy, fun and guilt-free for everyone to eat cookie dough! Join the Twitter Party for an exclusive 10% code! Dress It Up Dressing – Our dressing is a simple vinaigrette. Containing olive oil, vinegar, garlic and mustard, and very little else, it has a classic background. But like a needle, thread and a piece of cloth can turn into many different things, it is what we do to these ingredients that makes DRESS IT UP DRESSING unique. For a chance to win 4 jars of Dress it Up Dressing, RSVP and join us on Tuesday! Charmed Bar – It had to be special – clear and simple. It had to be free of gluten, grains, dairy, soy and refined sugars. It had to be fun – a treat you could feel good about and taste that could add some bounce to your day. That’s when Charmed Bar was born – satisfies cravings, fits in your purse and absolutely delicious. The prize pack will feature one box of Charmed Bars. True Syrups – TRUE Syrups & Garnishes was founded out of a humble kitchen in Washington, DC in 2014 by a passionate cook and cocktail lover. Inspired by the cocktail revival in the US, we wanted to make natural mixers that hearken back to the days before chemicals, when everyone knew their bartender by name. RSVP for a chance to win one bottle of Tonic and one bottle of Grenadine. Underground Greens – Underground Greens is a commercial hydroponic vertical farm in the District of Columbia specializing in microgreens and wheat grass. We believe that locally grown food is better for our customers and the environment. The prize package includes 1 Grown Your Own Microgreens Kit. Glen’s Garden Market – for local DC area Twitterers only – At Glen’s Garden Market, our Neighbors choose from the very best food, beer, and wine grown or created within the states of our watershed, which stretches from Virginia to New York. We build relationships with vendors who treat their land, their animals and their ingredients with respect, and we grow small businesses along with our own. This prize includes – one entry in the first-ever Glen’s Fly-athalon for the Twitter party. It’s going to be held the day of Earth Day Birthday and it’s worth $40. It includes a Flywheel class, a 5K, a t-shirt and a bunch of give-aways. Mom Made Foods – Life these days is busy. It’s a challenge to prepare family dinners from scratch. Sometimes it just isn’t possible. 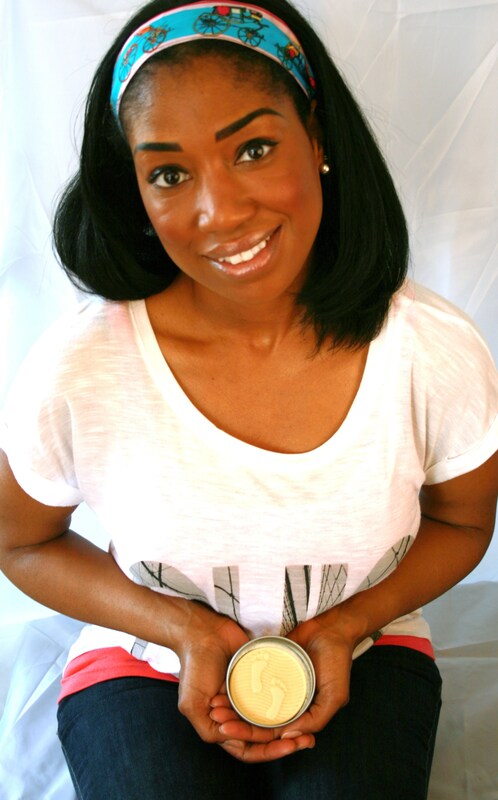 As a mom of two, I started Mom Made Foods because I deeply believe that eating well should be easy. Mom Made Foods is inspired by those freshly prepared, familiar recipes that kids and parents love. They are the foundation for a lifetime of healthy eating, and they should still be convenient without sacrificing quality or nutrition. Geffen Baby – We began as Los Angeles-based textile manufacturing company that saw a need for natural baby products. We manufacture the textiles we use ourselves at our own plant in our own backyard to ensure that we have a hand in on every step of production from start to finish. We have created the only Universal diaper inserts with an absorbency level system unique to us and especially designed to fit every baby’s needs. RSVP for your chance to win, and we’ll *see* you next Tuesday night!